Depending on your previous drawing knowledge, you might wish to also bring other media to experiment with ie. pastels, watercolours, charcoal etc. 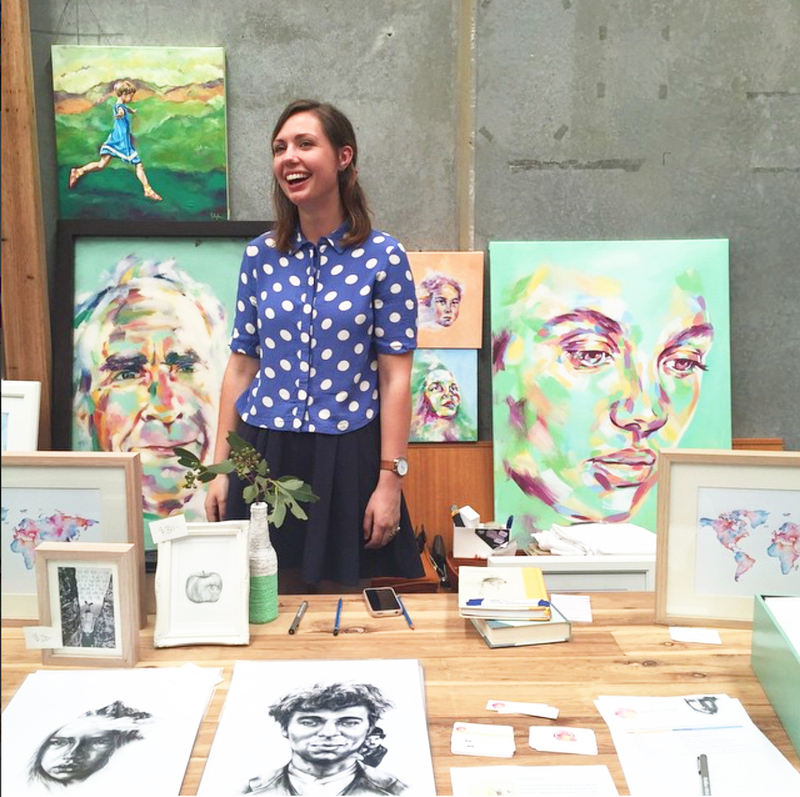 Sally has completed a Bachelor of Fine Arts at COFA / UNSW, completed two artist residencies in France, created her own stationary label, co-created and runs “Deadfern Artist Studios’ Marrickville, and is a contributing artist and developer for social enterprise Welcome Studios. Sally has created for a number of private and commercial clients; Some favourites include BMW, Kit Kat – Nestle, SBS TV, The Horse (Leather Goods Co) , Architecture in Helsinki and Future Perfect Magazine. Sally loves to share her love for art, and has been teaching workshops over the last 4 years across Sydney. She loves to paint people, flowers and the Australian Landscape with every colour she can find.